One of the items I love having in my gear bag is my Scott Archery release. I have used a release for many years now and I remember back to the day when my dad bought me my very first one. It was a Tru-Fire release that I used for many years before recently sharing it with a new archer. He needed one and it still worked well even after a decade of use. Recently, I was able to use three different Scott Archery releases for a few weeks. While I was surprised with my findings, all of them are top notch. I expected nothing less from Scott Archery. I'll begin with the Rhino. 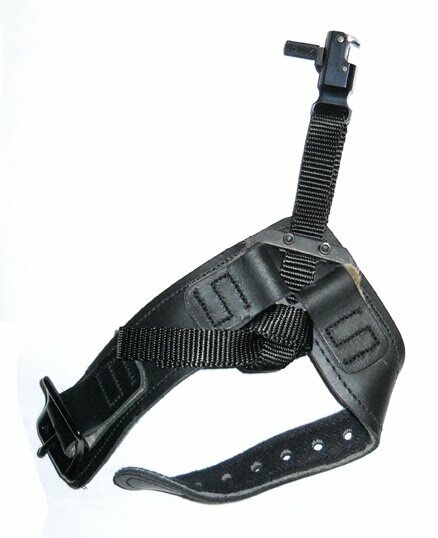 The Rhino I tested is all black with a Velcro strap. When you put it on the Velcro makes a lot of noise, so it's one of those releases that once it's on, leave it on. Don't be changing it around in the field or you'll spook everything in earshot. The Rhino I was using has a long, metal rod that extends to the trigger mechanism. I found this very useful in setting my grip and consistent pulls each time. After each shot I was able to swing the hook back into place with ease, lock it and be ready for my next shot. I like the hook because I don't have to be looking down to figure out where the string-loop is on my bow string. By the time you are done flinging a hundred arrows you know exactly where your loop is. The rod swivels left-to-right on a metal bar. It's helps in moving it out of the way, but not fully. It is an excellent, sturdy release that felt very comfortable on my wrist until the heat of the day crept in. Then it felt super hot and sweaty! That's not the releases fault. I blame that on global warming (ha!) and Twinkies. Let me get back to that metal rod for a second. 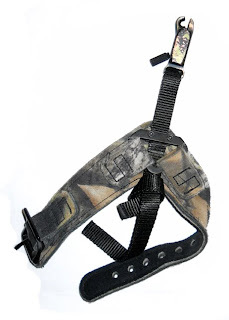 I did find one drawback in using the release and that is for treestand hunting. If you put the release on before you get to your stand (which I highly recommend) and you go to climb your ladder, if it is aluminum you'll make a heck of a racket as the metal rod makes contact with the rungs. Sure, you can take the release off, but refer back to the Velcro. You can also try to move it out of the way, but that doesn't work too well. It seems to get in the way of a lot of things, but it's great once you are in the stand and waiting for that bruiser to walk by. In order to fine-adjust the release to your draw and finger position, you have to use a hex/allen wrench to unscrew the screw (located on the metal rod) and move the rod into the correct position. Once it is where you want it you just lock it back down. You are limited to four choices of where to adjust it to. It's limited because of the specific increments, but works. The Silverhorn is similar to the Rhino in that is has a single hook to connect to your bow string. This one was also all black. One of the differences with the model I tested was that where the metal rod was on the Rhino, a nylon strap replaced it on the Silverhorn (+1 for Scott). 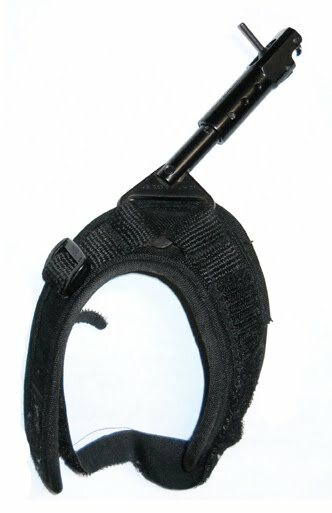 The wrist strap is softer fabric and a buckle instead of Velcro. Nice! The buckle is very odd. It has a curve to it that I am sure has a purpose, but it was tough to thread the strap into it from time to time. The hook on this one was a little smaller, but not really noticeable. After shooting quite a few arrows I found that getting the hook to swivel back in was not easy. It was actually rather frustrating. I had to spend more time trying to get it back in there than I wanted to. I kept playing out a scenario in my head where I had shot an animal and now needed a second arrow. If I had to use the Silverhorn I might not get it off in time. The nylon strap is connected to the wrist strap with a metal bracket/connector bar that sits back enough where you never notice it. Fine-tuning this release was simple and effective. You loosen two hex/allen screws on the metal bracket and slide the nylon strap in or out according to where you need it (same goes for the Little Bitty Goose). You can get super precise with your adjustment and I think that is an excellent feature. I got turned on to the Little Bitty Goose by DIYbowhunter.com member ‘wingbone.’ It is similar to the Silverhorn in that it has a buckled wrist strap and soft fabric. The buckle on the LBG functioned the same way as the Silverhorn. Don't get me wrong, it is better than Velcro, but sometimes tough for fat fingers on this archer. The one I tested was in full camo and that I truly liked (nothing to do with the function though). This particular release also had the nylon strap running from the wrist to the hook. Huge selling point for me because I can tuck it into my wrist strap when I am climbing a stand or just to get it out of the way on a hike. It’s a light release, too. The LBG has a closed hook at the end instead of an open hook. At first, I had a hard time getting used to it. I had become accustomed to using an open hook, but it didn’t take long for me to remedy that. Using the LBG was a dream. I could close the hook around my d-loop and know it was always connected to my string. I shot over a 100 arrows with it and it was awesome. It felt great to shoot and functioned superbly! I have to say that I was very impressed with all three releases. They each have a unique design. My first choice and taking top honors was the Little Bitty Goose. I will certainly use the Silverhorn as a back up, but not my first choice. The Rhino is great if you need something to grip while you draw your string back, but I prefer the nylon strap instead of the metal rod. I highly recommend the Scott Archery releases.